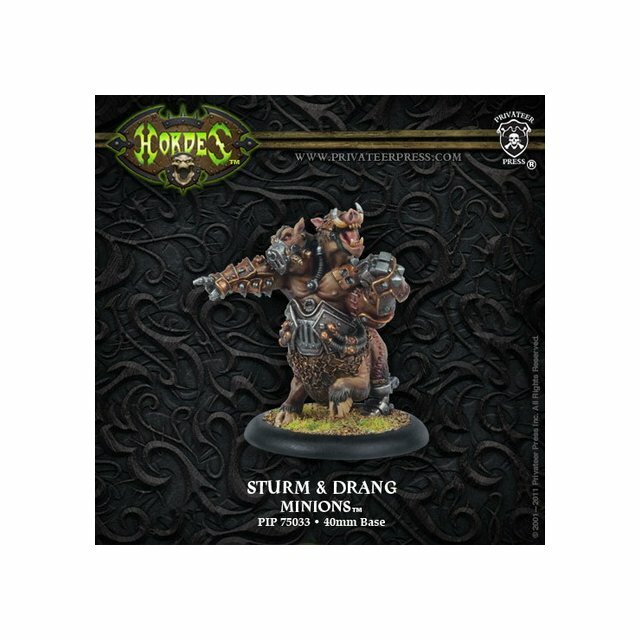 The monstrous two-headed creation called Sturm and Drang is proof of Dr. Arkadius? mad genius. The key to this breakthrough was placing two strong wills in opposition within a single body. Psychic feedback crackles between their individual minds, driving them into a battle frenzy of escalating power. Engineered to dominate and subjugate, the pair have perfect command over the war hogs of the farrow and can unleash magic of mind-rending power and explosive force. The warlock Sturm & Drang comes in a blister (PIP 75033). 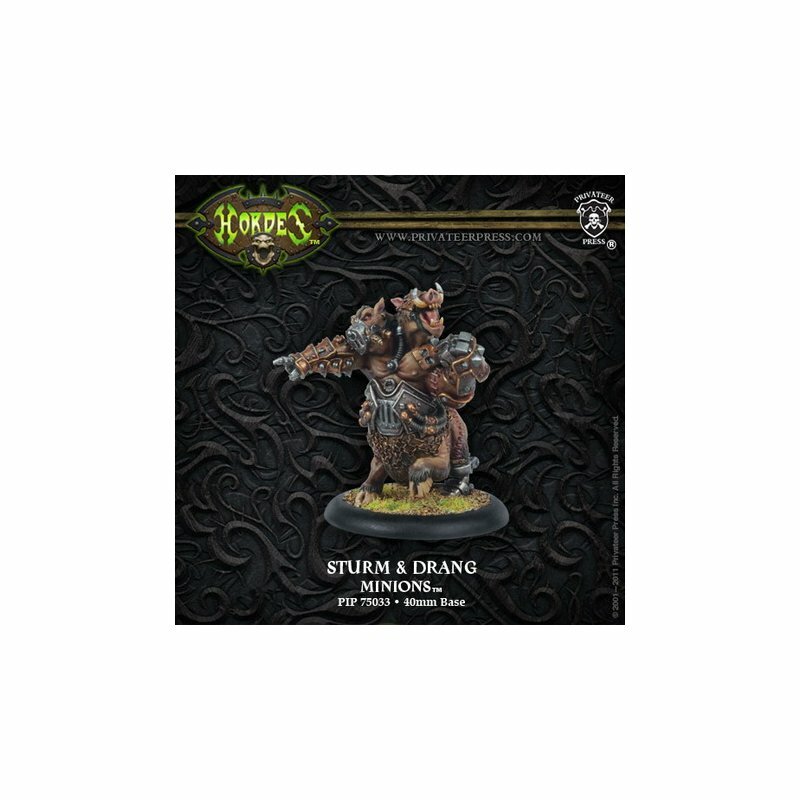 A player may field one Sturm & Drang in a Minion army under the Thornfall Alliance Pact.